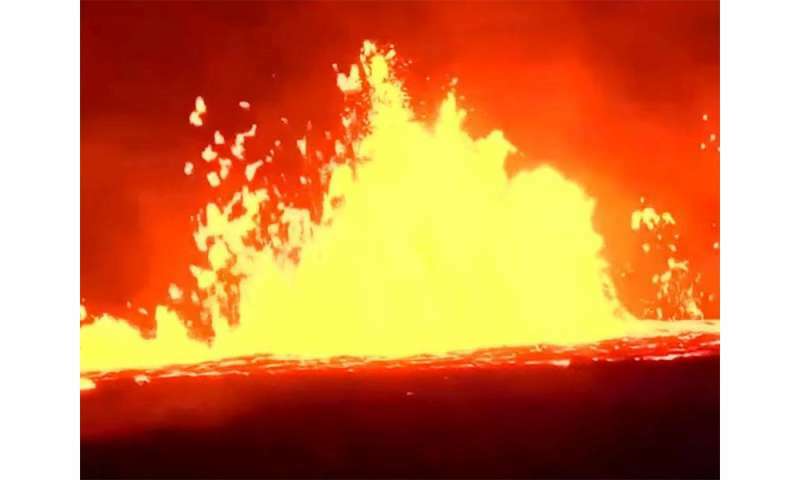 (HealthDay)—There's more trouble in paradise: The eruption of Hawaii's Kilauea volcano may lead to respiratory and other health problems for residents of the Big Island, an expert warns. Besides facing the possibility of more devastating lava flows, Hawaiians must contend with high levels of toxic volcanic ash and smog, said an atmospheric scientist at the University at Albany in New York. "Volcanic smog is transported and distributed in the atmosphere," Sarah Lu said in a university news release. "In general, the larger particles fall closer to the source of the volcanic emission, and fine particles are carried longer distances." Volcanic smog contains sulfur dioxide gas, fine particulate matter and other gases—toxins that are harmful to human health and plant life, Lu said. The eruptions this month have produced dangerously high levels of sulfur dioxide, which irritates the skin and inflames the lining of the eyes, nose, throat and lungs, according to the U.S. National Park Service. Sulfur dioxide can also react with other chemicals in the atmosphere and transform into small particles that can invade the lungs, the researchers said. This is of particular concern for children, older people and those with lung disease. Runners and other active people are also at risk of harm from deeply inhaling the pollutants. The Kilauea volcano is the most active of the five volcanoes on the Big Island. A "red alert" was issued May 16. Since then, two lava flows have reached the Pacific Ocean. How long the threat continues depends on weather conditions and volcanic activity, the experts noted. "The higher the volcano eruption plumes reach, the longer the volcanic plumes reside in the atmosphere," Lu said. Volcanic ash can also interfere with the safe functioning of airplane engines. Researchers at the University of Hawaii and the Atmospheric Research Lab are monitoring ash levels to ensure aircraft safety, according to the release. Wind patterns and any further eruptions will affect concentrations of volcanic ash in the atmosphere, Lu said. But most ash is removed from the air within several days to weeks, she added. Lu pointed out that sulfur dioxide can have the opposite effect of the greenhouse gas carbon dioxide, resulting in global cooling. "One example is the eruption of Mount Pinatubo in 1991," Lu said. "Large aerosol disturbances from the Pinatubo eruption led to measurable cooling of the Earth's surface that lasted for two to three years after the eruption." More information: The U.S. Geological Survey provides more on the health effects of volcanic smog.